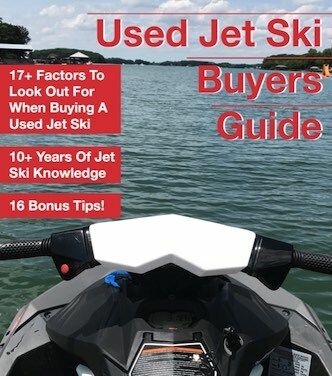 Jet Ski Shoes - What is the Best Jet Ski Shoes for Riding? Having the correct gear when riding a watercraft is very important. This goes for footwear like shoes, sandals, and flip-flops. Wearing the wrong shoes when riding a Jet Ski can actually cause you to lose grip and really hurt yourself. The problem you’ll run into when picking the best jet ski shoes is that there is too many to choose from. How do you know you’re picking the correct shoes if there are so many different types? – Let’s talk about it! I want to start this off with the kind of shoes or sandals you should not wear when riding a jet ski. These types of shoes don’t do good under slippery conditions or come off way too easily. The first kind to not wear is Crocs™. They may seem like the perfect footwear when riding a Jet Ski but they’re not so great in wet conditions. They don’t give you the traction you might need when riding. The next kind of footwear is the basic flip-flops. Flip flops can come off very easily and offer no real protection. It’s not when you’re on the Jet Ski you should worry about, but when you’re getting on and off that you need to worry. Flip flops offer no protection from a rock that you might land on when hopping off the watercraft when you beach it. Also, flip-flops don’t offer the protection from the sun and no real protection on cold winter rides. Can You Jet Ski Barefoot? – I would avoid riding a jet ski barefoot at all possible. I have personally cut my foot either on something sticking out on the jet ski or hopping on or off the jet ski. Please take note: No matter what you wear always be careful around wet and slippery areas. Not all shoes are perfect and care should be had when walking on wet surfaces. The great thing about water shoes is that you can choose many different styles and colors. It used to be sandals was your only option. Now you have active footwears that don’t hold water and drain really quick too. You can also use water shoes for more than just riding on a jet ski. They work well at the beach, the backyard, water parks, or even hopping off the Jet Ski to grab some lunch. Most of the time people don’t even know that you have water shoes on because of how good they look. Up first is the basic water shoe like this one. It looks the part of a water shoe but is light on the feet. They allow water to escape quickly and work very well if all you’re doing is riding a Jet Ski or swimming. The basic water shoe is kind of like a slipper where you slide your foot into it, but you have a pull tight cord for a snug fit. The bottom of the shoe is rubber to give you the best grip. If you need something simple and in a good price range then this style of water shoe will work fine. I call the next option a “real water shoe” because it’s hard to differentiate them from a real tennis shoe. I’ve had people stop me before getting into the water to let me know I have my tennis shoes on – that’s how real these shoes can look. The best jet ski shoes have got to be these “real water shoes”. They look like a normal shoe but don’t hold water and dry quicker. It’s the perfect thing to have if you plan on doing any real riding and beaching. These are the style I wear and recommend to use. They fit just like a normal pair of shoes but allow the water to escape quickly. They also offer the best protection from the sun and the best protection for cold winter rides. Once you start to wear shoes like this it will be hard to go back to anything else. These shoes have a feel of a normal tennis shoe and even have laces that are pull tight. 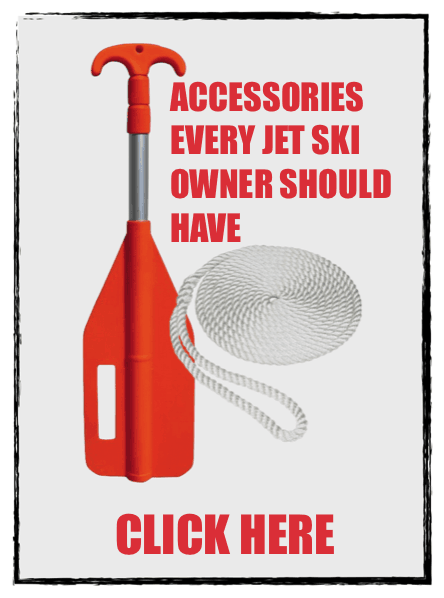 To learn more about other jet ski clothing to wear click here.